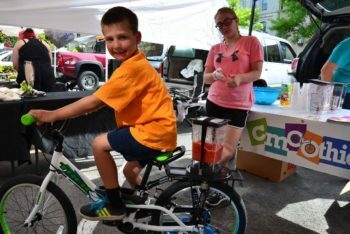 CMOO’s Power of Produce (POP!) program empowers children to make healthy food choices. Join us bi-weekly at the Oswego Farmer’s Market for a hands-on activity and earn POP tokens to spend on fresh, local produce from our participating farm vendors! This year’s program is proudly sponsored by the Oswego County Federal Credit Union.